According to James Caldwell, football is more than just a sport, it’s a way of breaking down barriers. 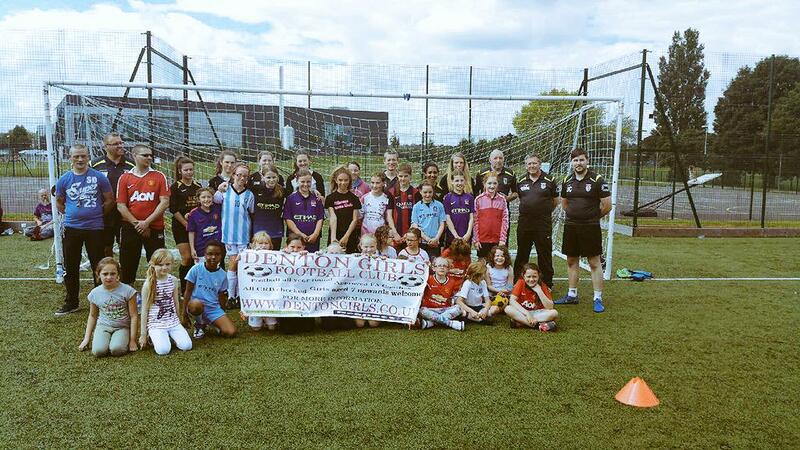 In the space of two years, James – development officer at Denton Girls FC – has made it his mission to broaden girl’s football. “We’re working with the Manchester FA to push football across Greater Manchester” James said. Originally formed in 1997, the team were born as Denton eagles. Fast forward 18 years, and the club are flying higher than ever. Talking passionately about why he became involved with the club, James said: “I became connected with the club around three years ago because of my daughter. “She had played football previously, but had dropped out of the sport because she didn’t enjoy playing alongside boys. At one point, James was just a spectator at the club. Despite shouldering such responsibility, James revels in the pressure. “There’s an enormous sense of satisfaction in terms of helping kids with their sport” he said. “It’s also great to see some of them take up refereeing courses, or completing coaching badges. Although everyone connected with the club longs for success, they’ll never detract from their life-long mantra. Expanding on this issue, James said: “We never turn a child away, regardless of their skill or ability. While relying on the makeup of volunteers, the club seek help from outside sources. Describing the logistics of such matters, James said: “We try and take some time out of the club to look at football as a more general idea. “Football can be an expensive game, even at grassroots level. Earlier this year, the girls enjoyed a trip to Championship outfit, Sheffield Wednesday. The trip across the Pennines was only made possible thanks to the Ninelives charity. Shedding light on the experience, James added: “The trip to Sheffield Wednesday was a good chance for the girls to see the inner workings of a football club. From Sheffield to Germany, the fun never seems to end at the club. James said: “With the support of Denton Town Twinning Association, we were able to take a large group of players across to kierspe in Germany. “As part of the four day trip, we had a football tournament which we won, and we also got to understand a lot more about German culture and the twin town. “We had a tour of shalke’s stadium, and lots of players and coaches came back with replica shirts. Given the girls had a great time in Germany, I guess it begs the question: Will there be a repeat visit? Without fear or favour, James concluded: “We’re currently planning our next trip to Germany and hope that it will become a long-lasting relationship. In the meantime, the girls will be looking to fine tune their skill sin pre-season training. If the past 12 months are anything to go by, then the club looks destined for more success.